Chef Christopher Collins has renamed and revamped two of his Phoenix restaurants. 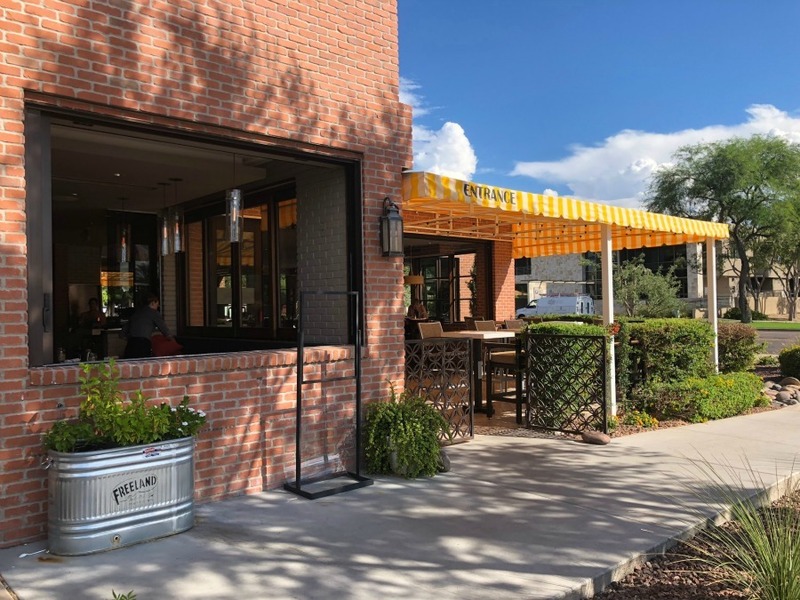 Twisted Grove Parlor + Bar, which opened last year at 32nd Street and Camelback Road, is now The Collins Small Batch Kitchen. 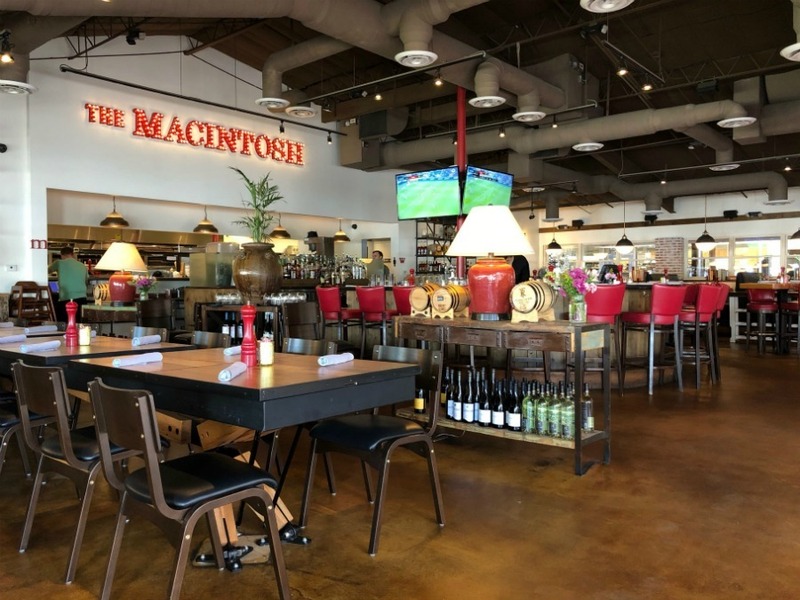 Grassroots Kitchen & Tap, which opened in 2014 at the Town and Country Shopping Center near 20th Street and Camelback Road, is now The Macintosh. Both opened under their new names earlier in October. The Twisted Grove and Grassroots Kitchen locations in Scottsdale will remain the same. "It kind of started six months ago. We were looking at the different concepts and where they are, kind of what we're doing with the neighborhoods and...we're just seeing differences," said Collins. He noted differences in what people were ordering and what times they were coming in. "They're serving different neighborhoods with different needs and we wanted everything to be unique to the neighborhood," he said. Chef Collins described " The Collins Small Batch Kitchen" as his "home base" and the "R&D Kitchen" for Common Ground Culinary, the restaurant management company behind Twisted Grove, Wally's and Sweet Provisions. "This is where we are going to start learning, practicing, sharing with guests different food items and different ideas that we have," he said. "This will allow us to really be in tune with the neighborhood because it's a little more interactive as we're trying things." The smaller menu is classic American fare, he said, with a "bistro influence." Dishes include an onion soup and Pomme Frittes-style chicken, pork chops and steak. They have a wood-fired hearth to bake pizzas, and will have 4-8 specials that change daily. Yellow and white-striped awnings were added to the front and back patios. The interior has new wallpaper accents, reupholstered chairs and booths, and frosted dividers. Collins said he wanted to make it "a little bit more homey." Changing Grassroots to The Macintosh was a "hard decision," said Collins, noting that the restaurant was well-liked. Though, the new name is an ode to his favorite apple. "We really felt like this neighborhood was a little different than the Gainey Ranch neighborhood," he said. Whereas Gainey Ranch sold a lot of wine, the Phoenix location sold more cocktails. He doubled the Macintosh's bar menu and put more of an emphasis on whiskey and barrel-aged cocktails. He also looked at the cost of dishes on the menu. Main entrees at Grassroots ranged from $18-$34 with most falling in the mid-20s. At Macintosh, Collins said he came up with more dishes to sit below that $20 price point . "People work really hard for their money and want to see their money go far when they go out to a restaurant. And that is literally what we set out to achieve," he said. "I think we've done a really good job doing it." Macintosh's menu features different appetizers, sandwiches, burgers and sliders that fall into the $5-$18 range. Though, there are a few items priced in the $20-$24 range. Menu favorites from Grassroots were kept, such as the shrimp grits and braised short rib, while adding some new items like a fried green tomato po'boy, hand-battered fish and chips, and bacon steak with a spicy apple cider gastrique. Both concepts will also have weekend brunch options.